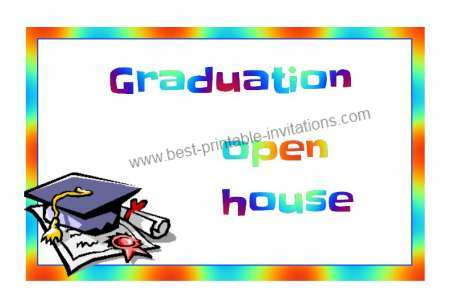 Having an open house to celebrate a graduation? 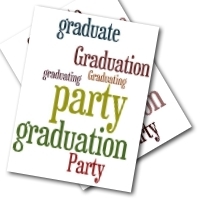 These free graduation invitations will be perfect, whatever the age. 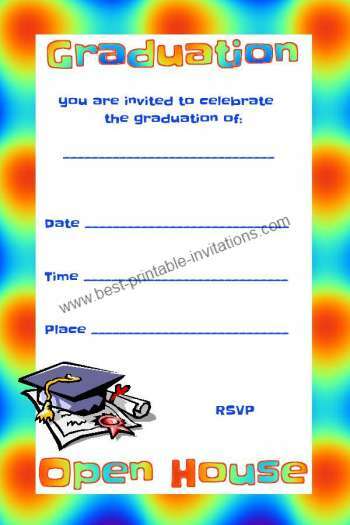 From kindergarten to high school, these bright and cheerful invites come in two styles. Choose from a foldable card, or a single sheet template. Free AND printable - just print them out and fill them in! 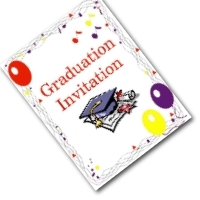 Free Open House Graduation Invite. Prefer more of a card format? These invites fold up to make a sturdy card with lots of space for you to write your party details. Having an Open House is a great way to celebrate a graduation - whatever the age. 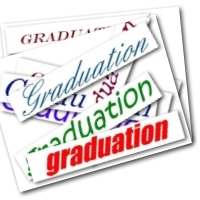 From Kindergarten, through high school to college - friends and relations are going to want to come and congratulate the graduate. An Open House can range from relaxed family gathering to a more formal event - so choose your decorations and food to match. First decide what time of day you would like your guests to arrive (and leave!). They will probably be expecting some food, so would you prefer to give them lunch or an early supper? The age of the guests will play a big part in helping you decide. This decision over timings will also help you plan the menu - but keep it simple. You don't want to be spending the whole event in the kitchen! There are some good menu ideas on this site - you could choose a BBQ or a cold buffet type meal if you want to keep things simple. Take a little time to plan out the menu and decorations - it will help you feel more organized and under control on the day! And remember to relax and enjoy this special time! Many congratulations :) I hope you enjoy your celebration!